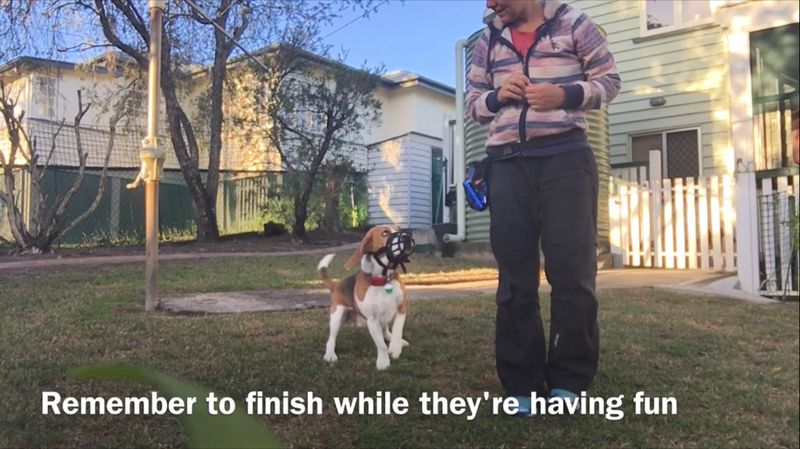 ​Coming from both a behavioural and veterinary back ground – training your dog to like a muzzle prior to ever needing one will save both you and your dog stress in the future. However, if your dog already has a negative association with a muzzle, this can also still be overcome. Muzzle training should be seen as fun and a game for both you and your dog, not as a predictor of a veterinary examination, grooming or any other procedure that may be painful or require restraint. OK, what sort of muzzle should you use? You will find that in most veterinary clinics and grooming salons muzzles that are made of fabric or nylon are generally used. These however are not ideal. They don’t allow the dog to pant, eat (take food rewards) or drink. And when you think about it, a dog that is usually being muzzled in these situations is usually under some stress. Taking away their ability to pant etc is only going to make that stress worse. You will also find, that even in these cloth type muzzles, most dogs can still manage to deliver a decent nip. The muzzles I prefer are considered basket muzzles. These also come in a few different versions – they may be leather, plastic or rubber. Again I have a preference and the ones I prefer are either the plastic (beige coloured) ones, or the gold standard the Baskerville ultra (black rubber) muzzles. So why do I like these better? The dogs can pant freely, drink and still take rewards. I prefer the Baskerville ultra because the dogs generally find them more comfortable and they are also much easier to deliver treats through. The plastic ones need a slight modification by you (front plastic insert removed, and the hole at the front made a little bigger to aid reward delivery). I have concerns that the leather muzzles will be unable to be satisfactorily disinfected, especially in a veterinary clinic or grooming salon environment. How do we go about training a dog to like a muzzle? The biggest thing is to break it down in to small achievable steps. If your dog has already had a bad experience with the muzzle, please take the extra time to ensure that we change their response from “oh &*%^” when they see the muzzle to “wooohooo”. There is no need to rush the process. Start conditioning the dog to see that the muzzle predicts good stuff. Now don’t jump ahead, the muzzle should be no where near the dogs snout at this point. Just have the muzzle behind your back, bring it out, ensure your dog sees it but don’t chase them with it, and deliver the high value reward. Remove the muzzle from sight. It is important that the reward only comes after the dog sees the muzzle, and then the rewards no longer come once the muzzle is out of sight. Dance around and act a goose, this is fun!! Once your dog is visibly excited when they see the muzzle move to the next step. Next we want to start rewarding the dog for interacting with the muzzle. The dog must move toward the muzzle, not you toward the dog. This game works because it is a game of choice. They can choose to participate or not to. If he or she shows any sign of movement toward the muzzle…woohooo, reward reward reward. Now the rewards only come when the dog is sniffing the muzzle. You could also smear liver paste or peanut butter over the muzzle to get them licking. Once your dog is comfortable around the muzzle we want them to upgrade to putting their snoz in the hole. Now not for long, and we aren’t doing it up, don’t rush it. Start by holding the muzzle in your hand and putting a high value reward inside for the dog to retrieve. What’s important here is again that the dog moves toward the muzzle and that from now on the dog only receives the reward for having the nose in the muzzle and not after removing it from the muzzle. Do this a few times and then offer the empty muzzle to your dog – if they push their snout in, yay, reward through the muzzle (remember they are only getting rewarded for the muzzle being on). Start building the duration that the dog holds their snout in the muzzle, slowly. ½, 1, 2, 3 seconds etc. I would also start paying for pressure at this point to. The harder they jam that snout in, the bigger the reward. You can also make it more difficult, by moving around and having the dog follow you to get to that most awesome muzzle of fun. Once they are comfortably holding their snout in for 5-10 seconds before the reward, start pretending to do up the straps. Not buckled or clipped yet. When you start doing this, decrease the time between the rewards. Remember the 4 D’s of dog training, if you increase 1 decrease the others. Out next step is to build up to having the muzzle done up. While this is happening reward frequently through the muzzle. If the dog is distressed and pawing at the muzzle we have gone too far too fast. Distract them and reward, or remove the muzzle but no reward. It is really important that pawing at the muzzle doesn’t then pay the dog with a high value reward – otherwise this is what we are teaching them to do. Once the dog is comfortable with the muzzle in place, we need to start adding movement in and getting the dog to change position. Start simple, stand to sit, sit to down, sit to hand target etc. From here you need to start generalising the use of the muzzle – start doing it not only at home, but at the park, at the vet clinic etc. You may need to go back a few steps when you try in different locations. That is fine! Watch this video for a fast tracked version of how to train. This is completed much faster than I would expect normally. Humphrey was already partially muzzle trained prior to this. Ensure your chosen muzzle is the correct size for your dog. Never use the Muzzle and introduce a dog that is fearful to other dogs for example at a dog park (stopping your dog from protecting itself will not reduce its anxiety or arousal – in fact it will make it worse). If you are having troubles – please seek the help of a qualified reward based trainer or veterinary behaviourist. 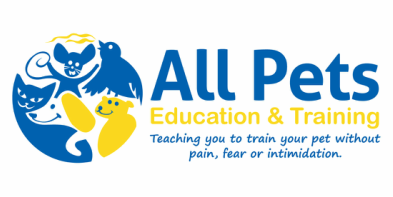 You can find a list of trainers at http://www.apdt.com.au/ using the trainer directory.